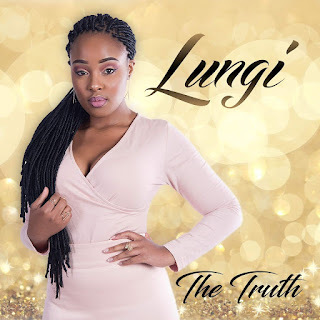 After an initial period of relative success, emerging South African songstress Lungelo Motaung, otherwise known as “lungi”, feels that her career might finally have turned the corner. She is slowly but surely making her way to the top and the recognition that she continues to receive from some of the country’s biggest brand names goes a long way in solidifying that notion. “I have been singing and performing for a little over 6 years now, I started out performing in a club called “Rumours Lounge” but now I perform at various other places and events. “It’s been quite an honour to be trusted by big brands like South32 and Standard Bank, among others with entertainment for some of their great events”, said Lungi. Aside from her own career, being able to give back to her community is something that is close to the musician’s heart and she is looking at taking music lessons to communities in and around the Johannesburg area. “My proudest moment was when I decided to start teaching basic music theory to young kids in the township for free. There is so much talent and hunger for knowledge out there that the majority of us are not aware of. “I honestly would love to establish a proper network of musicians who are willing to donate their time to teaching music to children in townships around Johannesburg. So many of these kids are talented but they don’t even know where to start. I want to share with them the little that I have in terms of knowledge and skills”, she said. Being the goal-oriented person that she is, the singer said that she was always striving for improvement and excellence in every aspect her life. One of her goals for this year is to of course improve her online presence and interact more with her followers. “Branding myself as a professional was quite difficult in the beginning because of the inherently “fun” nature of my work but I have had to train myself over the years and I’ve also learned from many other musicians that this is actually a job like any other and if you respect it, it’ll respect you right back. “One of my biggest focuses in 2019 is to improve on my online presence, many people who enjoy what I do have felt that they don’t see enough of me and I would really like to change that by giving them good quality content”, said Lungi.